The Velvet Underground and Nico Album reviews. Like many visionary artists, musicians or otherwise, the Velvet Underground were never fully appreciated while they were alive and well. But thanks in part to the solo successes of band members Lou Reed and John Cale, and in part to the numerous artists who cited them as influences (including REM, who covered three of their songs on the "Dead Letter Office" LP), the impact they have had on rock music is still being felt more than 30 years later. The five CD "Peel Slowly and See" box set contains all four Velvets LPs and more outtakes and B-sides than most of us would know what to do with, and it is perhaps more vital to own than any multi-disc retrospective of a rock artist other than the Beatles. 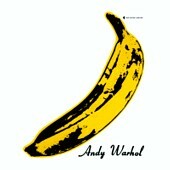 But if budget permits only one Velvet Underground album for the time being, make it the one with the banana. Where to start? "Sunday Morning," the record's opener, may very well be the only rock song ever with a celeste, a xylophone-like instrument that Cale found sitting around in the studio. "Heroin" is the most familiar track here, a haunting tale of drug addiction set to Lou Reed's quivering voice and two simple chords, repeated over and over. But it's far from repetitive; alternating between slow and fast, loud and quiet, it keeps the listener hanging on Reed's every word. The most accessible tracks other than "Heroin" are the poppier ones, such as "Waiting for the Man" and "Femme Fatale." The former is a blues-like alienation dirge sung by Reed, while Nico, the German singer who was only with the Velvets for this one album, takes the vocals on the latter and sings an amusing story of a woman is "just a little tease / see the way she walks / hear the way she talks." Nico also sings on the ingenious "All Tomorrow's Parties," a playful jab at the hipper-than-thou New York artsy social scene, of which Andy Warhol tried to make the Velvets a part. The more ambitious songs take a while to get used to, but are ultimately even more satisfying. "Venus in Furs" and "The Black Angel's Death Song" are the album's centerpieces, and are like no music ever recorded, before or since. The slow pulsing of the tambourine, Maureen Tucker's delicate drumming, Lou Reed's somber vocals, Sterling Morrison's insistent bass, and most distinct of all, Cale's electric violin. "European Son," described by Reed years later as "musical masturbation," is a seven minute wall of noise, not an unusual piece by today's standards, but this was 1967 after all, the same year that "Windy" and "Kind of a Drag" hit number one. For a rock band to write about anything remotely disturbing other than a broken heart, or to attempt any sort of song structure not reliant on simple verses and choruses, was unheard of. It would be a gross understatement to say that the Velvet Underground were ahead of their time. Though it was probably unintentional, there has never been a rock album so brilliantly sequenced. Rather than beginning with a bang, the album starts off slow and builds to a climax - "Venus in Furs" arrives just in time, and the album's most intense moments are evenly spaced among the comparatively lightweight. "Heroin" is followed by "There She Goes Again," perhaps the album's most 'normal' song, but then comes Nico's "I'll Be Your Mirror," a cute but extremely eccentric acoustic love song. "The Black Angel's Death Song" tears that immediately to pieces, and then "European Son" comes along and pandemonium ensues. To fully explore all the nuances of "The Velvet Underground and Nico" would take longer than the eight hours it took to record the album in the first place, an album that was probably never intended for this kind of analysis. Perhaps then, the true essence of what this album means is that of a blueprint for dozens, possibly hundreds of budding musicians, to embrace the do-it-yourself aesthetic in their songs. The Velvets often drew crowds of less than 100 to their shows, but among the teenagers in their audiences were future Pretender Chrissie Hynde and future Car Ric Ocasek, and many others who went forth and started their own bands. We still hear the influence of the Velvet Underground today in the informal garage band clutter of independent label artists as a contrast to highly polished studio musicians. You could make a good case for the Velvet Underground as the pioneers of "alternative rock," and thus for The Velvet Underground and Nico as the first alternative album. But labels aside, there is nothing quite like it.